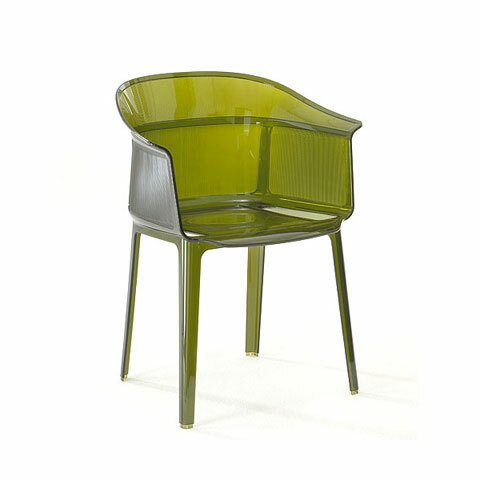 The Papyrus armchair is not your usual plastic chair, it’s extremely detailed and refined, treasured and long-lasting. 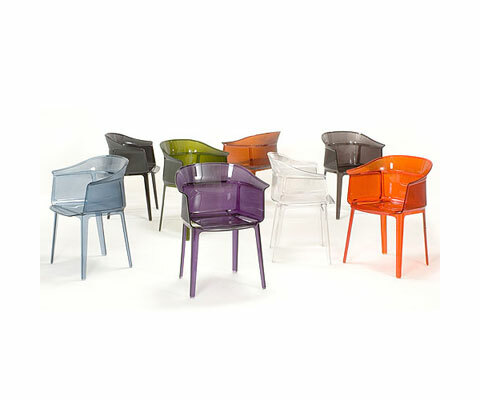 It’s constructed from transparent or batch dyed Polycarbonate in one piece, giving the illusion of precious glass. The unique style and modern simplicity of this beautiful piece of furniture allows it to fit into various spaces, from your dining room table to your office or even outside on the porch. 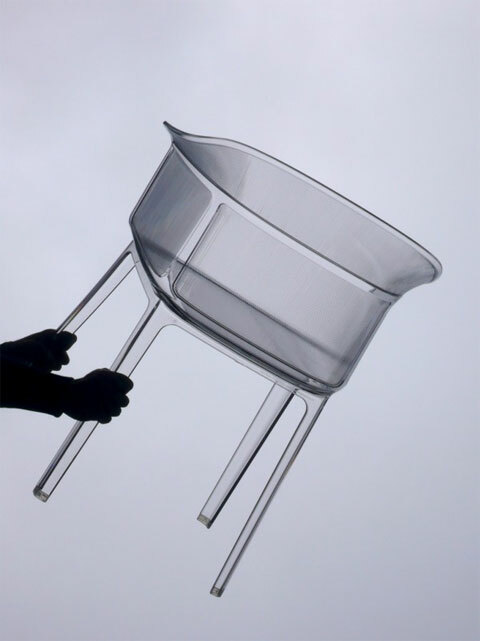 Designed by the talented duo Ronan and Erwan Bouroullec for Kartell, this comfortable armchair can be stacked for easy storage, and can be used both indoors and outdoors. Its form is strong and simple combined with soft and snug lines and a rounded backrest; the exterior is adorned with a detailed vertical pebbling pattern. Available in various colors: Crystal, Rust, Smoke Gray, Smoke Brown, Powder Blue, Olive Green, Orange Red, and Purple. Size: 23.6″W x 19.2″D x 31″H; Seat Height: 17.3″H.